Bakersfield Observed: Caltrans' recommendation to put a freeway through the Westpark neighborhood gets more heat from readers, and do you allow your dog or cat to share your bed? Caltrans' recommendation to put a freeway through the Westpark neighborhood gets more heat from readers, and do you allow your dog or cat to share your bed? * ... WESTPARK: My earlier blog about the plans by Caltrans to rip through Westpark to extend Highway 58 drew this response from former resident James Houck. "Your piece today and Lois Henry's were interesting to this old timer who remembers what Caltrans, abetted by the city of Bakersfield, did to stable neighborhoods in the 1950s and 1960s. They started ruining neighborhoods by turning 24th Street and Niles Street into one-way thoroughfares. Westchester and what is now called old Westchester are still dealing with that mess, as you well know. Then they ripped through some nice old neighborhoods to turn 58 (then 466) and 178 into freeways. The results can still be seen from H Street to about Cottonwood Road on 58 and from Union Avenue to about Haley Street on 178. No wonder those are among the highest-crime areas in the city. Westpark will join them soon." * ... PETS: A recent national survey revealed that of the American families that own pets, fully 70 percent of them allow their dogs or cats to sleep with them, a percentage almost equal to the number of married people who share the same bed. Surprised? * ... MADISON: I wrote recently about the great Hollywood actor Guy Madison, who grew up in Bakersfield before a successful acting career in the 1950s. I apparently erred in reporting that he went to East High when in fact he graduated from the old Kern County Union High School. Said Joyce Hobbs: "After re-reading your column, I realized that Guy Madison must have transferred from East High to Bakersfield Junior College, on the same grounds those days as KCUHS. Darn, and all that time I thought he was a Driller!" You were correct Joyce. Mea culpa. 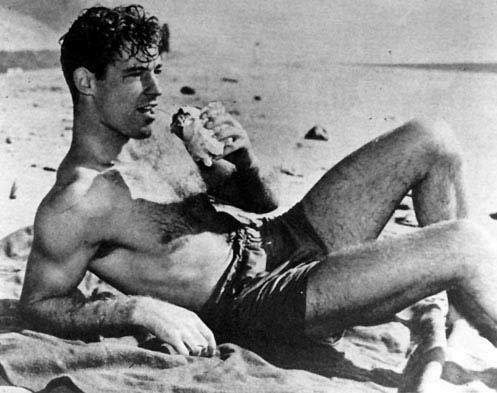 * ... MORE MADISON: And there was this from William Upshaw: "I take exception to your piece about Guy Madison. His real name was Robert Mosley. He lived on Terrace Way, just east of Chester Avenue. He attended Kern County Union High School, not East High. He joined the Navy during WW II. He had bit parts in movies before he become Wild Bill Hickok. His family and my family were close friends." * ... ADIOS KRCH: And another reader, Virginia Frazier of Lamont, wrote to express her dismay that KBAK TV had parted ways with anchor Lisa Krch. "This is just too much... John Dabkovich, Leyla Santiago and Cambi Brown. I think management should seriously think about replacing news director Cristi Jesse. 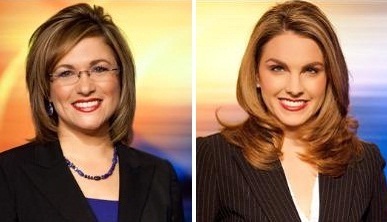 We are seriously considering switching to Channel 17 for our morning and evening news." * ... KBAK: And speaking of Krch, it looks like Amity Addrisi will be replacing Krch as anchor of the KBAK weekday newscasts. Amity has spent time as a morning anchor on Channel 29. So that's where the phrase "Lucky Dog" comes from!